I recently bought some shirts from from T.M. Lewin and I was positively surprised. 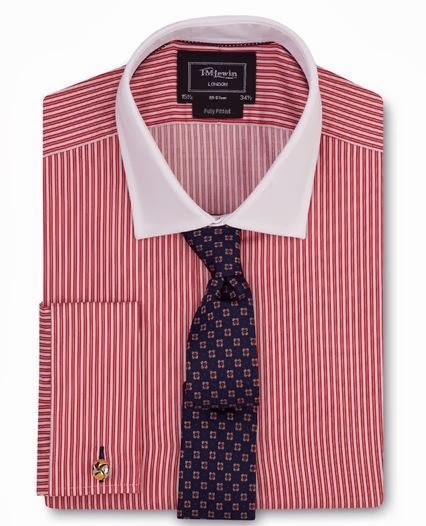 I had never bought shirts from T.M Lewin before and I wasn't expecting anything special, just nice shirts and good quality. This was also what I got, but the shirts had a couple of details which sets them apart from many other shirts I've bought through the years. The cuffs are the main reason I like these shirts so much. 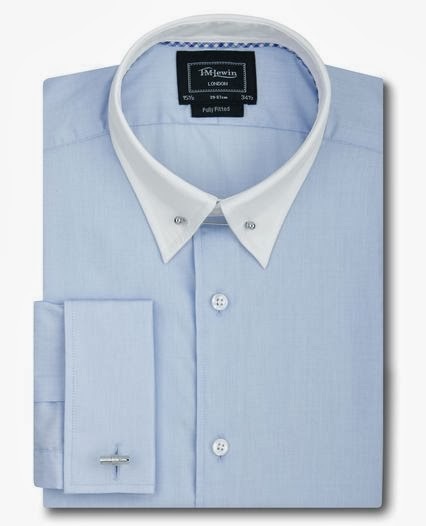 I usually buy shirts with french cuffs (double cuffs) and, no matter what brand, I always seem to have the same problem: the cuffs are too big. When the cuffs are too large they get stuck in the jacket sleeves or, at least don't have the room to move as freely as they should. For the first time with an off-the-rack shirt, the cuffs are of a proportion I'm happy with. There are two things which make the T.M. Lewin cuffs more to my liking, they are shorter and tighter. Compared to other shirts I have, the cuffs are about 1 cm shorter, and the cuffs are a much better fit around the wrist. T.M. Lewin offers five different fits: Casual fit, regular fit, slim fit, fully fitted and super fitted. What fit you should get is a matter of taste and body proportions, but the shirts I bought were of the fully fitted type and they fit me very well. I don't know if the cuffs differ significantly between the the different fits, but I suspects the smaller cuff sizes are a general pattern compared to many other off-the-rack shirts. The only thing I think could be better are the collar stiffeners. As I wrote in an earlier post I was very pleased with the brass collar stiffeners included with the Tyrwhitt shirts, and if metal collar stiffeners were included with the T.M. 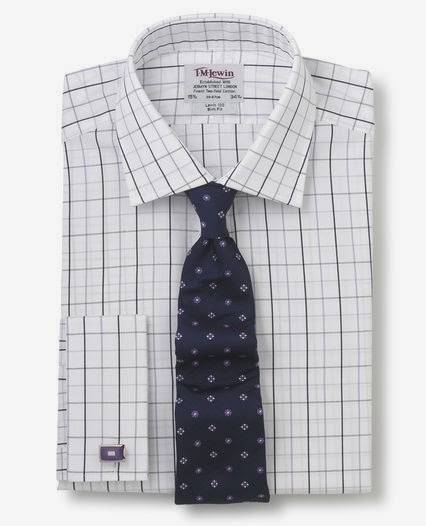 Lewin shirts, it would be a great improvement on a very good shirt. 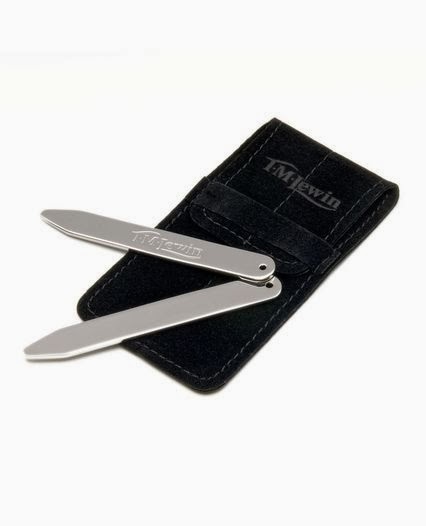 This isn't a big problem however, as collar stiffeners can be bought separately for a very reasonable price. The collar stiffeners are available in metal, silver and mother of pearl. Below are three of the shirts I bought. Happy new year! Time to sum up, and look forward.